Hiring an inflatable will make a visual and popular addition to a family fun day. 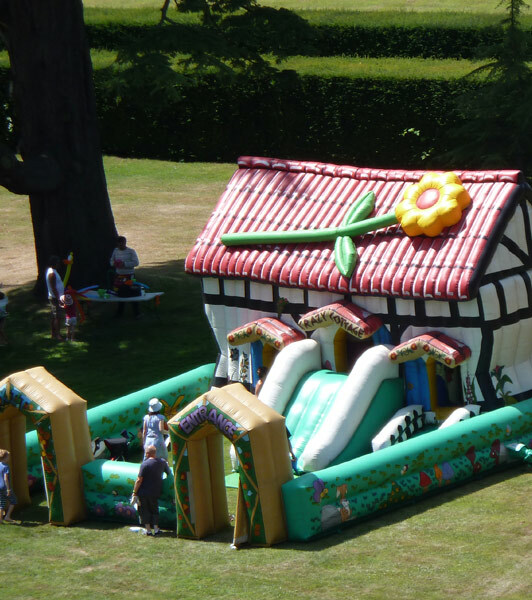 Appeal to the inner child in all of your fun day attendees by adding an inflatable to the event. Colourful (and often crazy), inflatables are always a winner and family favourites. Whether your looking for a soft play area for babies and toddlers, or a wipeout game for older children and teenagers, ACF can recommend and supply an inflatable to suit. Have a look at just a few of the inflatable hire options on the menu to the left. But that's not all....we have lots more on offer too! Just tell us what you would like at your event.